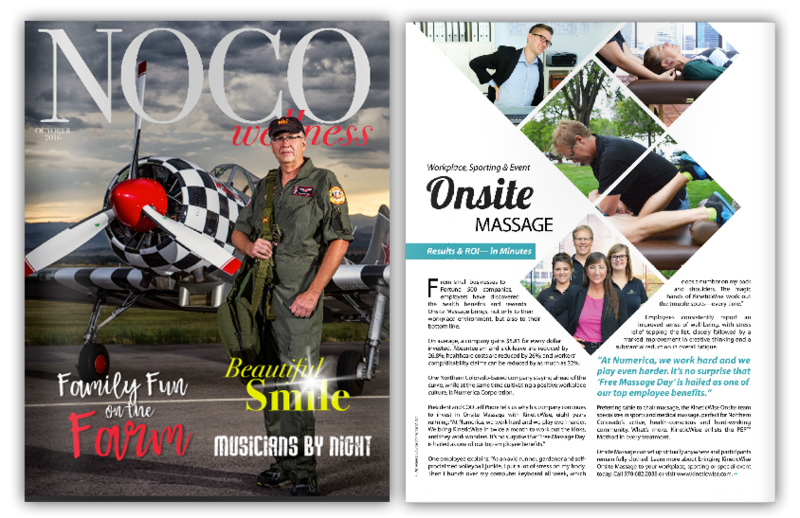 Read about Onsite Massage here. 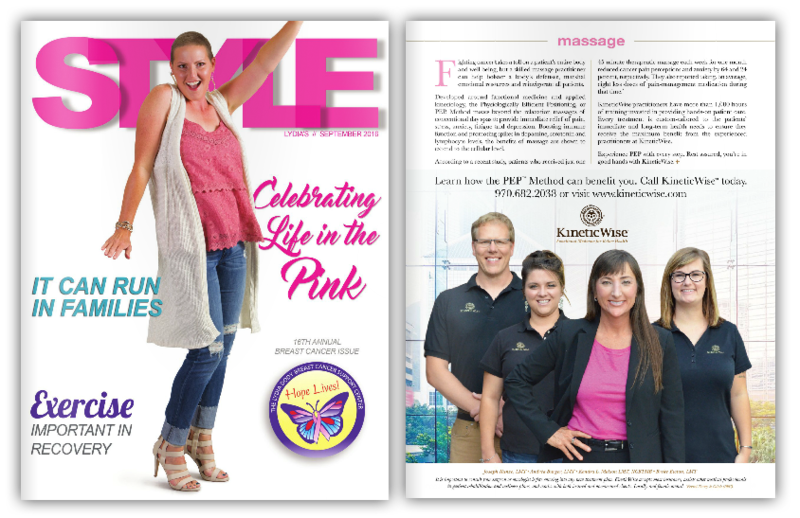 Read about KineticWise President and Director of Education, Kendra L. Melson here. 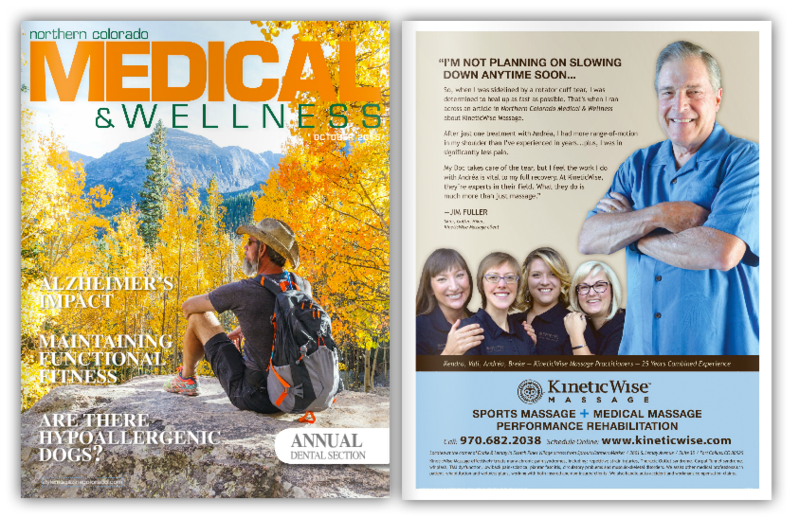 Read about KineticWise and therapeutic massage for cancer patients here. Read one client's testimonial to Andréa here. Read about one client's success on the road to migraine relief with Breke here. 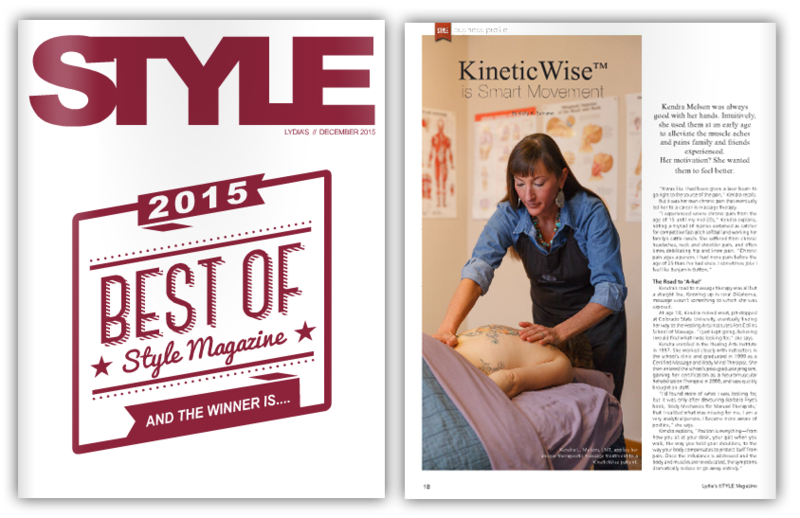 Check out our KineticWise business profile in 2015 Best of Style here.